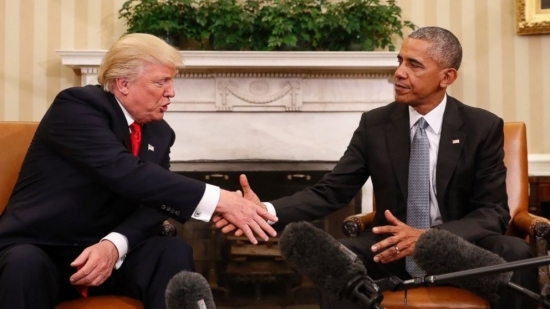 President Barack Obama and President-elect Donald Trump formally met each other for the first time at the White House today. The two held a 90 minute meeting in the Oval Office before letting in the press to answer questions. The two were very cordial. Obama said the meeting was "excellent" and that he looks forward to facilitating a sucessful transition. Trump echoed the sentiments They said they discussed a wide range of subjects from domestic to foreign affairs as well as some logistics of the White House and the upcoming transition. The First Ladies and Vice Presidents are also expected to meet each other today. Former Philadelphia Phillies Pitcher Cole Hamels and his wife Heidi were back in the city today. They were here to present the School District of Philadelphia a check for $95,000 from their family foundation. The grant will be used to update the greenhouses at Walter Biddle Saul High School of Agricultural Sciences in Roxborough. WB Saul High School is a magnet school with a 130 acres in far Northwest Philadelphia specializing in agriculture and horticulture and even has a working animal farm. Hamels was traded to the Texas Rangers in 2015.